Many parents and professionals assume individual therapy is superior to group therapy because it focuses exclusively on one client. Children are most familiar and comfortable learning in groups such as school, sports, scouts, etc. Group therapy provides support and the opportunity to learn from others’ experiences. It also helps the child to not feel alone and to no longer feel different from others. Our group therapy for children sessions offer child social skills counseling in a setting most comfortable and familiar to your child. 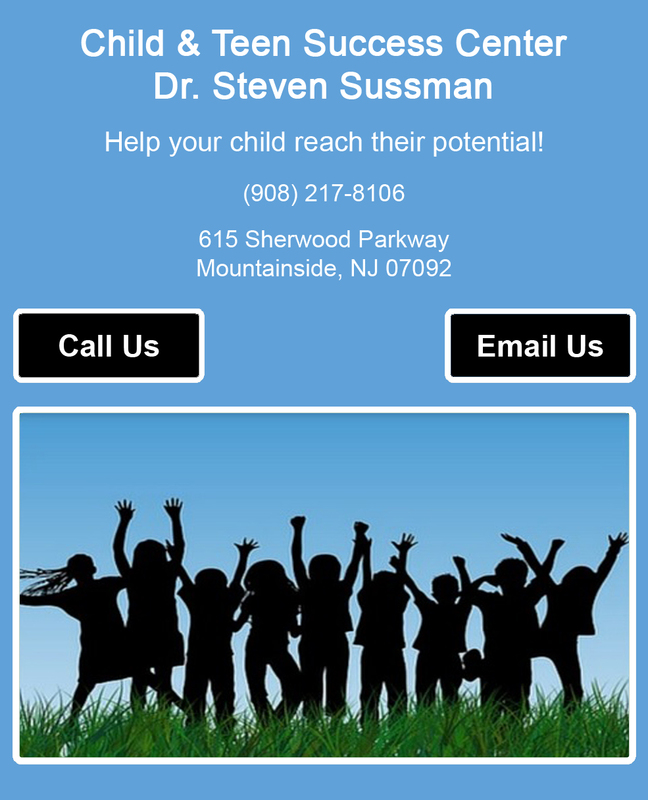 We offer bullying children therapy and child motivation counseling, lead by a skilled knowledgeable child behaviorist, Dr. Sussman. For more information or to schedule a consultation, contact 908-217-8106. We offer group therapy for children and child social skills counseling in a comfortable setting for your child. Contact our experienced child behaviorist at (908) 217-8106 for bullying children therapy, child motivation counseling, and so much more.